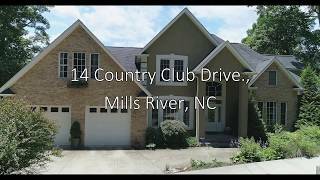 Come live in the very convenient neighborhood of Mills River Village and come live in this updated beautiful home. Offering 3 bedrooms & 2 bathrooms along with a spacious sunroom and an updated kitchen. This one level home is ready for its new owners and in move in condition. Situated very close to the Mills River Park and Library with easy access to Asheville, Brevard and Hendersonville. Come see this one quick as homes in this neighborhood sell quickly. No steps into this home from the garage. Directions: From Hendersonville take Hwy 191 or Haywood Road to just past Van Wingerden plant to a right into Mills River Village and then take first right to home on left.